Brazil has become something else: a rising power. It now plays an important role in international governance, through the G-20 and the Doha Round of the World Trade Organization.5 The international community has welcomed Brazil with open arms, naming it host for the 2014 FIFA World Cup and the 2016 Summer Olympics. It certainly seems possible that Brazil will be an established world power by 2050. However, where will it be by 2025? Today, it appears that it will not rival the U.S. or China by that time since Brazil has a number of obstacles to overcome. It will surmount some, but it seems clear that China will keep Brazil below the rank of a power with wide-reaching influence. In essence, Brazil’s growth is explained by demand from China for commodities and raw materials. This is not a sustainable model for a rise to world prominence. Furthermore, China’s entry into Latin America challenges Brazil’s drive towards regional primacy. Every global power first influences in its own continent, then neighboring regions, and then acquires a global role. 6 China’s increasingly important role in Latin America leaves Brazil without this natural progression. While Brazil’s democracy signifies a calling card to power8, it is minor when compared to the stable growth that Brazil has experienced since the late 1990s.9 Thanks largely to an economic scheme in 1994 called the “Real Plan,” Brazil made major adjustments that brought inflation under control and stabilized the economy.10 Introduced by Fernando Cardoso, then finance minister for President Itamar Franco, the plan stabilized the economy thanks to a new currency, austerity measures, better tax collection, and reorganized spending.11 It lacked “anticolonialist passions [and] the hostility to foreign links,”12 of previous schemes and achieved widespread popular approval. Cardoso’s subsequent election to the presidency allowed him to further reform and open up the Brazilian economy.13 Increased participation in international markets then produced the most significant part of Brazil’s growth.14 His successor, Luiz Inácio Lula da Silva, a union leader known for his leftist views, carried on Cardoso’s policies during his term in office between 2003 and 2011.15 This continuation resulted in Brazil growing an average of 3.3% annually between 2000 and 2009.16 The country’s GDP in 2010 was around US$1.6 trillion,17 making it one of two Latin American economies in above a trillion dollars. Between 2000 and 2007, the exportimport relationship between China and Latin America increased almost tenfold. In 2000, “China exported $4.2 billion to, and imported $5.1 billion from, Latin America,” and by 2007, China was exporting “$44.4 billion to, and imported $46.7 billion from, Latin America.”22 This level of trade is widely believed to rise and China could eventually surpass the U.S. as the region’s largest trading partner. This increase in trade volumes between China and Latin America can be seen as a positive exogenous shock to the Latin American economies.23 The Economist points out that Chinese (and Indian) demand for raw materials “ha[ve] played an important role in accelerating the region’s rate of economic growth to an average of 5.5%”24 in the mid 2000s. In essence, China has carved out a space for itself in through economic prowess and investment. It has also “noticeably intensified its diplomatic engagement with the region.” 35 A clear example of this Latin American-Chinese rapprochement is the strengthening of military ties with many countries in the region: China now sells weaponry to several Latin American militaries – traditional clients of American defense firms.36 Military ties between Latin America and China have been further bolstered by military education courses for Latin American officers given in China.37 Latin American militaries have traditionally been close to the U.S. While these ties have not been severed – Colombia and Mexico have remained close to the U.S. – China’s engagement with Latin American militaries remains an important change in the region. Further deepening its participation in Latin America, China has become a player in the region’s most important international organizations: the Organization of American States (OAS) and the Inter-American Development Bank (IDB). In 2009, China became the third East Asian country to join the Inter-American Development Bank, joining Japan and South Korea.41 China will be contributing US$350 million to “soft loans for the region’s poorest nations and investment capital for small and medium-sized enterprises.”42 For 2010, China’s contribution quotas totaled US$125 million.43 Brazil contributed US$544.4 million in 2010 and controls 11% of votes, to China’s 0.004%.44 Yet, China’s engagement signals a determination to become a major player. China’s participation in Latin America challenges Brazil’s position as the region’s leader, but China also threatens Brazil’s economic advantages. The evidence shows that the economic relationship between the two nations in the past ten years is not aligned with Brazil’s global power ambitious. Rather, like its neighbors, Brazil runs the risk of becoming too reliant on income from exporting commodities to China. This decline hinges on two developments: the Real’s appreciation and increased competition for exports from China itself. Today, Brazil operates under increased demand for its goods and an appreciated currency, while greater Chinese competition undermines its exports in third markets. Tomorrow, Brazil faces losing its competitiveness in manufactured goods and even in commodities – if it remains reliant on Chinese-demand to drive its export-led growth model. Brazil’s economy is now the most important in the region. Most significantly, trade minister Fernando Pimentel announced that Brazil would make China’s overvaluation of the renminbi a priority.62 Following a meeting in Brasilia with Rousseff, U.S. Treasury Secretary Timothy Geithner said that the U.S. and Brazil would “work together on the global stage to build a more balanced and more stable, stronger multilateral economic system,” a signal they would lobby China to appreciate its currency. Jim O’Neill, “Building Better Economic BRICs,” Goldman Sachs: Global Economics Paper No. 66, November 30, 2001. Accessible at: http://www2.goldmansachs.com/ideas/brics/building-better-doc.pdf (accessed April 1, 2011). Dominic Wilson and Roopa Purushothaman, “Dreaming with BRICs: The Path to 2050.” Goldman Sachs: Global Economics Paper No. 99, October 1, 2003. Accessible at: http://www2.goldmansachs.com/ideas/brics/book/99-dreaming.pdf (accessed April 1, 2011). Juan de Onis, “Brazil’s Big Moment: A South American Giant Wakes Up,” Foreign Affairs, November/December 2008. Accessible at: http://www.foreignaffairs.com/articles/64610/juan-de-onis/brazils-big-moment. Riordan Roett, The New Brazil (Washington, DC: Brookings University Press, 2010), 127. David Murrin, Breaking the Code of History (London, UK: Apollo Analysis Limited, 2011). Argument regarding the stages of global power Accessible at: https://www.breakingthecodeofhistory.com/about.htm. Oliver Stuenkel and Jabin T. Jacob, “Rising powers and the future of democracy promotion: the case of Brazil and India,” Portuguese Journal of International Affairs, No. 4, (Autumn/Winter 2010): 23-30. Mac Margolis, “The Crafty Superpower,” Newsweek, April 18, 2009, http://www.newsweek.com/2009/04/17/the-crafty-superpower. html (accessed April 1, 2011). Roett, The New Brazil, 91. Roett, The New Brazil, 87. David Landes, The Wealth and Poverty of Nations (New York, NY: W.W. Norton, 1999), 511. Roett, The New Brazil, 92. Regis Bonelli, “Strengthening Long-Term Growth in Brazil,” (paper presented at the OECD Seminar: Beyond the Crisis – Returning to Sustainable Growth in Latin America, Paris, France, November 24, 2010). Accessible at: http://www.oecd.org/dataoecd/30/41/46454661. pdf. Rodrigo Maia, José Carlos Aleluia, and Paulo Gouvêa da Costa, eds,., Brazilian Foreign Policy: Present and Future (Washington, DC: Democratas – National Board of Directors, 2010), 59. Maia, Aleluia and Gouvêa da Costa, Brazilian Foreign Policy: Present and Future, 9-10. Jorge Dominguez and Rafael Fernandez de Castro, Contemporary U.S.-Latin American Relations: Cooperation or Conflict in the 21st Century, (New York, NY: Routledge, 2010), 6. Staff, “The dragon in the backyard,” The Economist, August 15, 2009. Accessible at: http://www.economist.com/node/14209932 (accessed April 2, 2011). Kerry Dumbaugh and Mark P. Sullivan, “China’s Growing Interest in Latin America,” CRS Report for Congress, April 20, 2005, Accessible at: http://fpc.state.gov/documents/organization/45464.pdf (accessed April 1, 2011). Franko, The Puzzle of Latin American Economic Development, 254. Daniel H. Rosen, “How China is Eating Mexico’s Lunch,” The International Economy (Spring 2003), 25. Accessible at: http:// yaleglobal.yale.edu/sites/default/files/pdf/china_mexico_lunch_0.pdf (accessed April 1, 2011). J.F. Hornbeck, “U.S.-Latin America Trade: Recent Trends and Policy Issues,” Congressional Research Service, February 8, 2011. Accessible at: http://www.fas.org/sgp/crs/row/98-840.pdf (accessed April 1, 2011). Dominguez & Fernandez de Castro, Contemporary U.S.-Latin American Relations, 213. Riordan Roett and Guadalupe Paz, China’s Expansion into the Western Hemisphere: Implications for Latin America and the United States, (Washington, DC: Brookings, 2008), 10. R.E. Ellis, “Chinese Soft Power in Latin America: A Case Study,” Joint Force Quarterly, Issue 60 (1st Quarter 2011). Accessible at: http://www.ndu.edu/press/chinese-soft-power-latin-america.html (accessed April 1, 2011). Roett & Paz, China’s Expansion into the Western Hemisphere, 16. Organization of American States, “DIA Activities with Permanent Observers 2010.” Accessible at: http://www.oas.org/en/ser/dia/ perm_observers/docs/SG%20Annual%20Report%20Permanent%20Observers%202010%20-%20Final.pdf (accessed April 3, 2011). Staff, “China, OAS, Extend Cooperation,” China Internet Information Center, December 17, 2009, http://www.china.org.cn/ world/2009-12/17/content_19084994.htm (accessed April 3, 2011). Inter-American Development Bank, Annual Report 2009 (Washington, DC: IDB Office of External Relations), p. 67. Accessible at: http://idbdocs.iadb.org/wsdocs/getdocument.aspx?docnum=35118293#page=67 (accessed April 5, 2011). Inter-American Development Bank, Annual Report 2009. Maia, Aleluia and Gouvêa da Costa, Brazilian Foreign Policy: Present and Future, 76. Silverio Zebral, personal interview, March 8, 2011. Zebral, personal interview, March 8, 2011. Paulo Sotero, “Brazil and China: Growing Asymmetries, Unmet Expectations and the Limits of Convergence in the Global South” (paper presented at the Conference on Leadership and the Global Governance Agenda, Center for International Governance Innovation, Stanley Foundation and Chinese Institutes of Contemporary International Relations, Beijing, China, November 10-11, 2009). Paulo Sotero, lecture Brazilian national security (course on Brazil in the Global Arena, George Washington University, Washington, DC, April 11, 2011). Wang Xinyuan, “Brazil to Diversify Exports to China,” The Global Times, May 20, 2009, http://www.globaltimes.cn/www/english/ business/Investment-in-China/2009-05/431338.html (accessed April 12, 2011). Paulo Cabral, “China to Welcome Brazil’s Newly Elected President,” BBC News – Business, April 7, 2011, http://www.bbc.co.uk/ news/business-13009093 (accessed April 14, 2011). Andre Soliani and Matthew Bristow, “Rousseff Wants China Buying More Than Soybeans, Vale’s Iron Ore,” Bloomberg, April 10, 2011, http://www.bloomberg.com/news/2011-04-10/rousseff-wants-china-buying-more-than-soybeans-vale-s-iron-ore.html (accessed April 14, 2011). Raymond Colitt and Ana Nicolaci da Costa, “Geithner Pledges to Work With Brazil on China,” Reuters, February 7, 2011, http:// www.reuters.com/assets/print?aid=USTRE7160ST20110207 (accessed April 14, 2011). Wang Ying, “Costa Rica gets Confucius Institute,” China Daily, November 19, 2008, http://www.chinadaily.com.cn/cndy/2008- 11/19/content_7217557.htm (accessed April 15, 2011). Roett, The New Brazil, 127. Woodrow Wilson International Center for Scholars – Brazil Institute, “Brazil and ‘Latin America’ in Historical Perspective,” press release, March 2, 2010, Accessible at: http://www.wilsoncenter.org/index.cfm?topic_id=1419&fuseaction=topics.event_ summary&event_id=591059 (accessed April 13, 2011). Roett, The New Brazil, 130-131. Roett, The New Brazil, 130. Paulo Sotero, “Brazil as an Emerging Donor: Huge Potential and Growing Pains,” Development Outreach, Volume 11, Number 1 (February 2009), 20. John Pomfret, “China Invests Heavily in Brazil, Elsewhere in Pursuit of Political Heft,” The Washington Post, July 26, 2010, http:// www.washingtonpost.com/wp-dyn/content/article/2010/07/25/AR2010072502979_pf.html (accessed April 14, 2011). 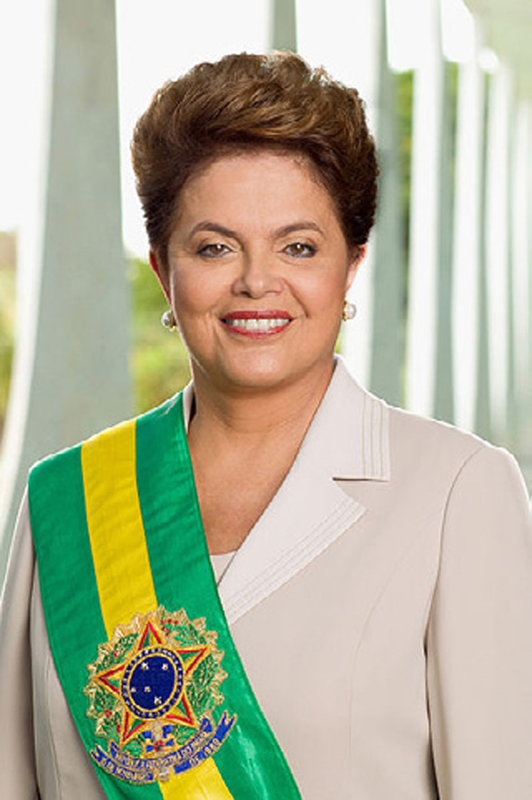 Vincent Bevins, “Dilma Rousseff Moves Brazil To Centre,” The Guardian, March 3, 2011, http://www.guardian.co.uk/commentisfree/ cifamerica/2011/mar/03/brazil-dilma-rousseff (accessed April 14, 2011). Alexei Barrionuevo, “Leading Brazil, Facing Unfinished Tasks,” The New York Times, October 30, 2010, http://www.nytimes. com/2010/10/31/world/americas/31brazil.html (accessed April 14, 2011). Fabio Alves and Carlos Caminada, “Brazilian Debt Raised to Investment Grade by S&P (Update 4),” Bloomberg, April 30, 2008. http://www.bloomberg.com/apps/news?pid=newsarchive&sid=a86v4f6_W2Jg (accessed April 14, 2011). Nouriel Roubini, “Beijing’s Empty Bullet Trains,” Slate Magazine, April 14, 2011. Accessible at: http://www.slate.com/id/2291271/ (accessed April 15, 2011). Alejandro Barbajosa, “JP Morgan Bullish on China Commodity Demand, Warns on Social Tension,” Reuters, April 5, 2011, http:// uk.reuters.com/article/2011/04/05/jpmorgan-commodities-idUKL3E7F50FJ20110405 (accessed April 26, 2011).